The mystery is that on top of his tombstone is the Mason's symbol. I did not know that the Freemason's accepted blacks into their society. 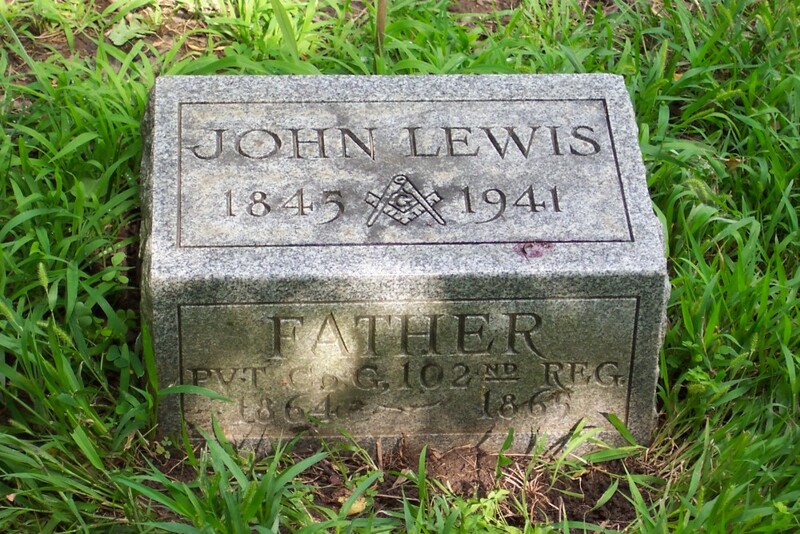 John Lewis and his family is buried in the back of this cemetery, a distance from the other graves. It appears they were separated. This is only the second cemetery where I have found black graves separated from white graves. Though he was separated from the whites, he was inducted into the Freemasons? I have e-mailed a Freemason's website to ask for info about the Freemasons and blacks in the 1800's. If I get an answer I will forward it to you.